Guide to marinas in the Italian Riviera: discover the best places to drop anchor in Liguria and the Gulf of Genoa. The Italian Riviera stretches between the border with France to the regional border of Tuscany, and would make an ideal addition to your French yacht holiday itinerary. Encompassing the entire coastline of Liguria and the historic charms of Genoa, this area is famous for its well-preserved old fishing ports and dramatic scenic beauty of its coast. Add the beautiful climate and the fascinating culture that is waiting to be explored, and you can see why this should be an unmissable region on your sail through Italian waters. This exclusive marina aims to offer a prestigious level of service in combination with advanced technical infrastructure and deep waters that can accommodate large yachts. 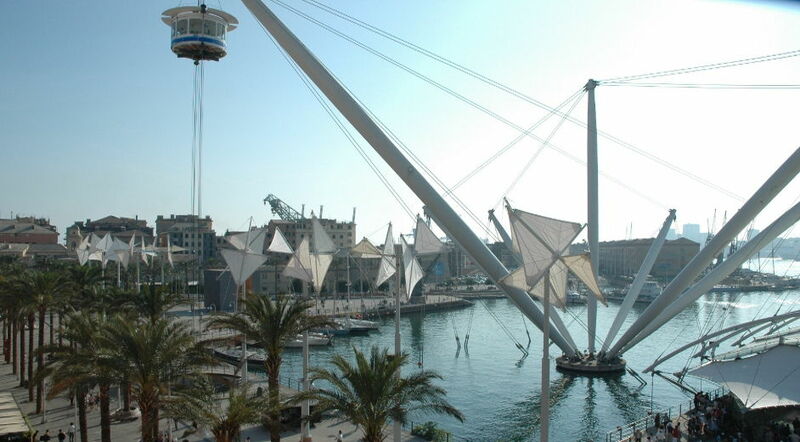 The port is also home to fine gourmet restaurants and designer shopping, so you are certain to enjoy your time ashore. One of the most famous ports in the Italian Mediterranean, the Marina di Portofino has a beautiful setting that is based around a natural cove. Leading directly into the heart of the charming village centre, the marina can accommodate megayachts at specially-constructed modern quays. Portovenere is an idyllic village full of typical Ligurian charm and its marina would be a delightful addition to any yacht charter itinerary in Italy. The port offers the standard range of nautical and technical services, and can provide moorings for yachts of up to 50m in length in its sheltered bay. This new yacht marina offers a very high quality of harbour services on one of the most beautiful stretches of water-front in the Italian Mediterranean. Currently undergoing extensive re-development, the port is set to become one of the largest in Europe and welcomes yachts of all sizes. Porto Mirabello is a huge modern marina that offers superb nautical and customer services to superyachts of up to 100m on their Mediterranean voyages. Its excellent location means the harbour acts as a gateway to the north of Italy and the most famous ports in the Mediterranean.